The position of the retractable roof may have an impact on the Mariners' record at home. From a fan's perspective, there's nothing better than hanging out at the ball park on a picture-perfect summer evening. The roof is open and temperatures are comfortable. It's a great time to be outdoors. 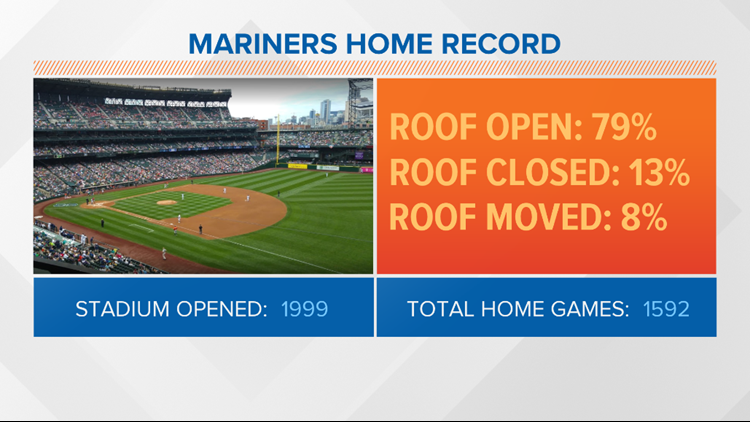 But does the position of the retractable roof have an impact on the Mariners' home record? Let's dig into the numbers. The rules for baseball stadiums with retractable roofs are below. Basically, unless inclement weather is imminent, the roof can only be moved once during a game. 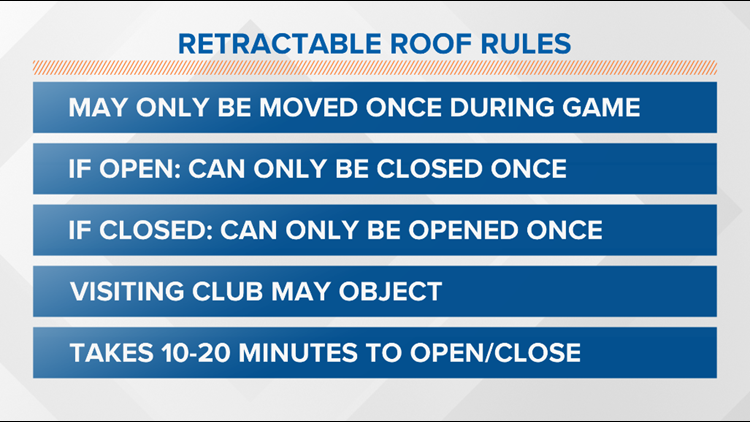 Rules for retractable roofs in MLB. There are three situations to dig into: 1) when the roof is open throughout the whole game, 2) when the roof is closed throughout the whole game and 3) when the roof moves (opens or closes) at some point during the game. The percentages of these three roof situations for every home game since the stadium opened in 1999 are below. Percentages showing how often the roof is open, closed, or has moved during a game. By far, the roof is open more often than not (1251 out of 1592 games). How does their record fair with each roof situation? Note that for each situation, the Mariners have a winning record (better than .500). 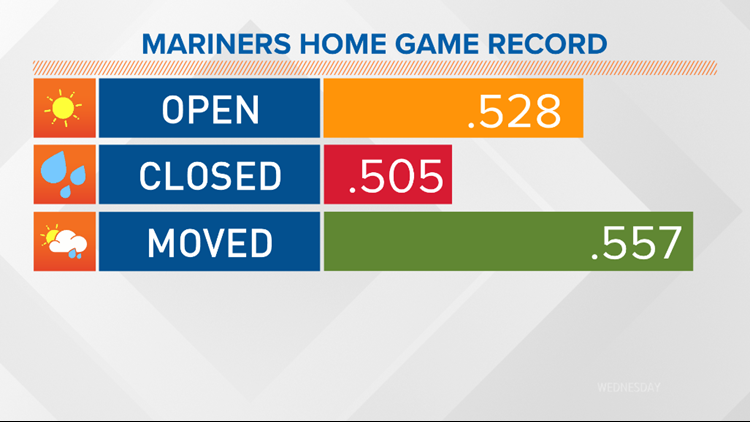 According to the data, the Mariners do the "worst" when the roof is closed. They have the "best" record when the roof moves at some point during the game. It's worth noting, though, that the roof only moved on 8% of games played (131 out of 1592) and isn't a big sample size. One thing you can bet on is that the roof will likely be open when you do head to a home game. And with the convenience of a retractable roof, no matter the weather, the Mariners will always play ball.